When you hear the term “population health management” what comes to mind? While some hospitals have a solid grasp of this concept, others continue to lag behind for one reason or another. Let’s examine the basic definition of population health management: the collection of patient data spanning a variety of health information resources, the analysis of data, and the actions providers can take to improve financial and clinical outcomes. As complicated as it sounds, the right strategy can clear the air to ensure that the hospital is taking the steps required to improve patient care and financial outcomes. Has your organization ignored population health management in the past? If so, now’s the time to make a change. 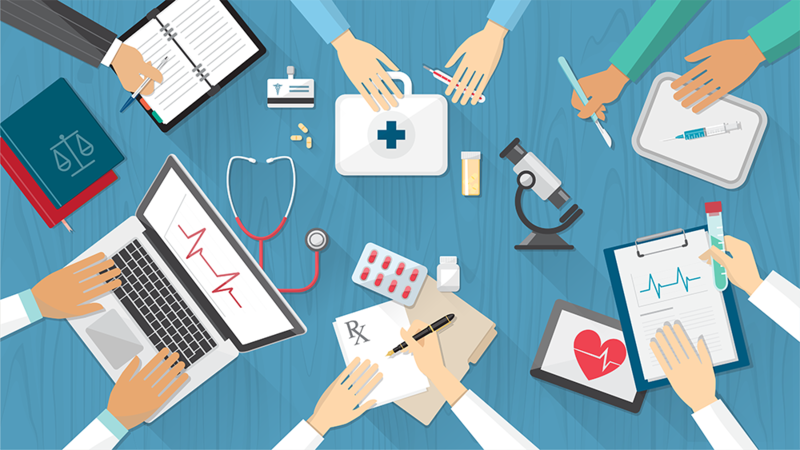 According to a recent Transparency Market Research study, the US population health management solutions market is projected to grow steadily between 2015 and 2023 at a compound annual growth rate (CAGR) of 23.90 percent. In other words, the next seven years will bring forth a variety of high level population health management solutions, all of which companies can use to improve patient care and their bottom line. Enhanced commitment to population health. With population health spending on the rise, it’s easy to see that hospitals have every intention on spending more time and money on this solution in the years to come. New payment models. With a shift in payment models, including a focus on value-based revenues, hospitals will look to implement population health management solutions to help aid the transition process. Risk management. Take for example the increased popularity of electronic health records. With many medical providers and hospitals moving in this direction, the need for risk management is a must. It’s one thing to be interested in implementing a population health management system. It’s another thing entirely to implement a system that provides high level results across many departments. Information powered decision making. With each passing year, the health care industry relies more heavily on data aggregation and integration. The best systems make it simple to use all this information to deliver better patient care. A focus on supporting providers as to advance clinical care. With this approach, a population health management system is able to implement higher quality care at a lower cost. Patient engagement. Partnering with patients means providing top notch care, managing their health with success, and integrating with their daily lives. Moving forward, the top population health management systems will focus largely on patient engagement. It goes without saying that every hospital wants to improve patient care and make financial changes for the better. However, this is easier said than done. Through the implementation of a population health management system, hospitals gain access to a solution for not only providing better care but also making changes that impact their bottom line.